W H A T I S S A V A N N A H S O U L ? 'Savannah' here stands for the Savannah Region in Africa (demographically the Central, Eastern and Southern Africa), while 'Soul' refers literally to the character or soul of the life of this area of the world. The term 'Savannahsoul' -'savsoul' for short- aims to describe and uniquely characterise the indeginously evolved genre -- neo-contemporary, multi-culturally influenced but uniquely indeginous- of the new music that is in development since the mid 1990's in this region. -Custom instrumentation: 'From-scratch' free-style music accompaniment and arrangement that do not immediately copy any other popular global styles but rather adapt in the first instance to the original music. - Afro-roots integrity: Unapologetically 'neo -Afro-rythmic' foundations and classic afrobeat dynamics which are only overlain as required by more international flavour/embellishment and this largely to cater for the latter audience demographic. 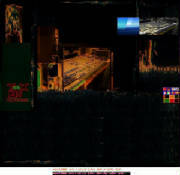 The main anchors above where consciously applied have presently resulted in the unique music that we have presented on this website and elsehwere as 'Savannahsoul'. It would be difficult to describe this music as any other pre-existing genre (even 'African-pop' is probably too generic), simply because it really is not any of that. The closest link to any other genres is largely if not only by inevitable cross-fusion and where similar music roots dictate the original basis of the music. Send us your feedback or comment on this article.